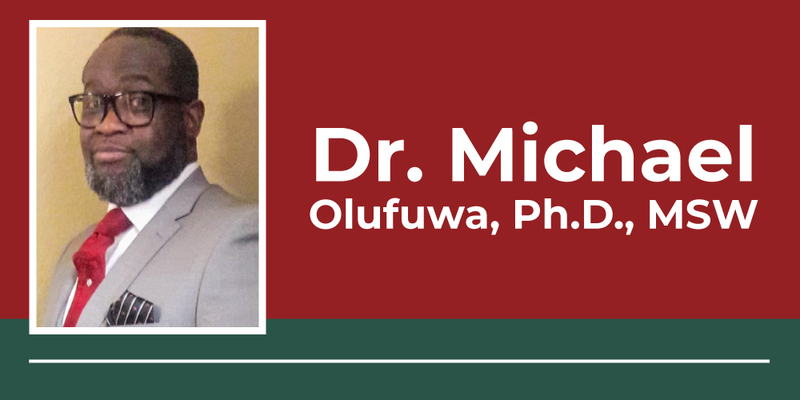 Dr. Michael Olufuwa is a businessman and a mental health practitioner/contractor at various mental health organizations in the state of Texas. He speaks on mental health awareness at various events in other parts of the United States and other countries. He focuses more on trauma-related issues and re-orientation of African people/decent to bring self- awareness, liberation, and empowerment through more in-depth knowledge of African history and culture. Dr. Olufuwa has worked/practiced as a clinician for almost 30 years abroad and at home here in the United States. His areas of specialty are with children, adolescents, and adults with behavioral problems, psychosis including mental illness in its entirety. Dr. Olufuwa obtained his bachelors, masters, and doctorate degrees from the University of Lagos, London Southbank University, and Walden University in Sociology, Social Work, and Clinical Psychology. Added to his professional portfolios are certifications on related-acquired brain injury from the University of Maryland, Dept. of Psychiatry.